We all know that Montreal has recently become home to several major celebs. What with the endless series of concerts, international festivals, and film and television shoots, Montreal has drawn in a whole slew of A-list celebrities over the past few months. One of those celebrities is none other than Dennis Quaid (a.k.a. the adorable dad from the 1998 remake of The Parent Trap). Dennis Quaid has been in Montreal the last few weeks filming the second season of his new show, The Art of More. Spotted at a few well-known Old Port eateries, Dennis Quaid decided to stop by Pub St. James on Tuesday night for an impromptu musical performance. That’s right, in addition to acting, Dennis Quaid also happens to be the frontman of a band, Dennis Quaid and The Sharks. 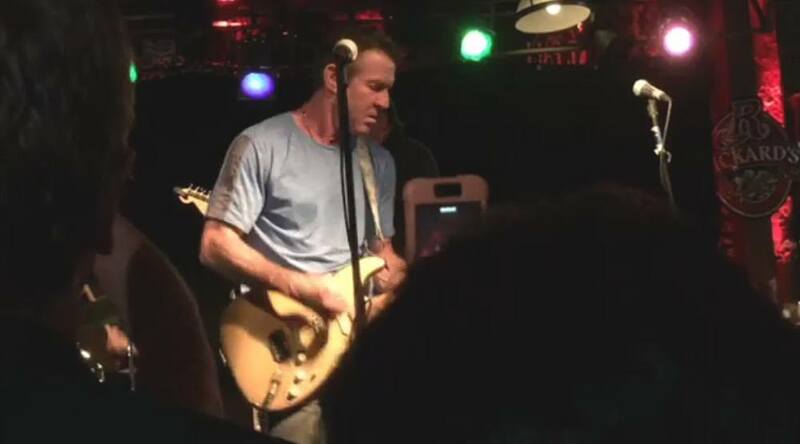 In essence, a room full of lucky Montrealers got to witness Dennis Quaid performing live with his band. Miffed you weren’t able to get right in the action?